The beautiful Lanai Island is the tiniest among inhabited Hawaiian islands. It is well known to many travellers as Pineapple Island. The thing is, that before widespread settlement, a large part of its territory has been occupied by extensive pineapple plantations. Some of which have survived to this day. Mysterious rainforests, fabulously beautiful beaches, picturesque fishing villages and unique historical monuments are the main values of the picturesque island, that attract thousands of curious travellers annually. Lanai-City is the island's only city and is also its capital. Its whole territory can be regarded as a single landmark. Walking along the winding streets of the capital, you can see a lot of beautiful miniature houses, painted in a variety of colours. The amazing "rainbow" city has preserved the atmosphere of the beginning of the 20th century. Only cars present in the streets partially disharmonize it. In the center of the capital is a beautiful Dole park - a favourite holiday destination for locals and tourists. In the southern part of Lanai is no less significant landmark - Hulopoe Bay. It is the very bay, that is a location of the most popular beaches of the island. The availability of natural basins is the main distinctive feature of local resorts. During the eruption of the volcano, numerous lava pits have been formed, which at high tide are filled with the water. The beautiful bay is one of the best places in the Hawaiian Islands to admire dolphins. 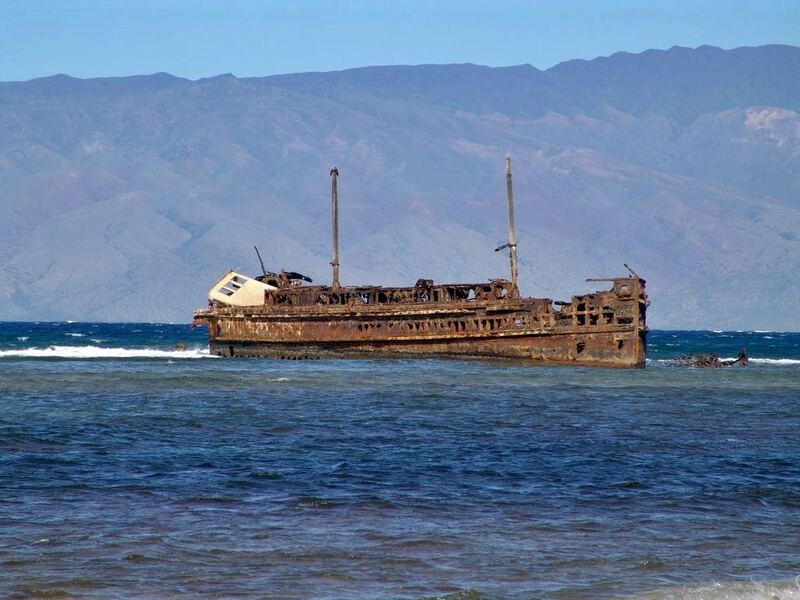 A rather unusual attraction is Shipwreck Beach. This is a name of a small strait, on whose shores locals have long discovered fragments of wrecked ships. The strait is characterized by a presence of strong undercurrents and reefs. 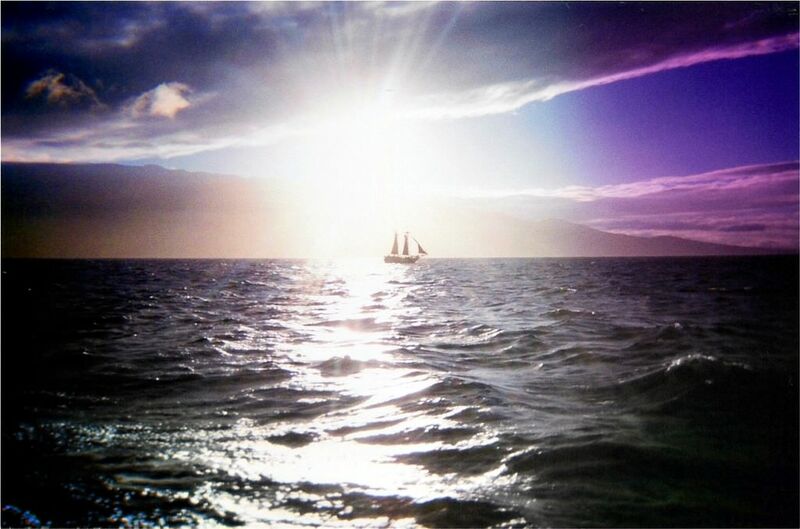 It was extremely difficult for ships to sail ashore. 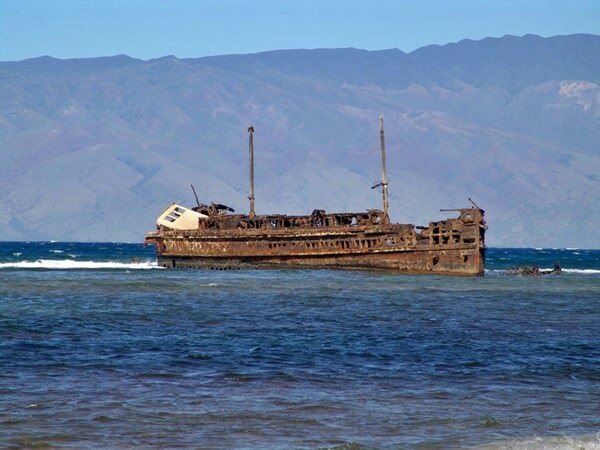 An old ship's remains reminds the guests of the island of times past. Travellers who want to become more familiar with the culture and traditions of the indigenous population should visit ancient Kaunolu village. Once a large fishing village is currently empty. Numerous ancient buildings have been preserved on its territory, and on nearby rocks one can see drawings of the very first settlers of the island. Near the village, on the coast is one of the steepest rocks, whose height is 25 meters. According to a legend, in ancient times warriors jumped from it to demonstrate their courage. Nowadays, the rock is a venue for annual jumping competitions. Munro Trail remains the most popular tourist route for walking along the scenic spots. It was named after the naturalist researcher from New Zealand, who visited the island in 1890. The path originates in the immediate vicinity of the capital and passes through incredibly beautiful places. The length of the route is more than 10 kilometers. During the trek, travellers will have an opportunity to stroll through fabulously beautiful pine forests and foothill areas, and the final stage of the trip will be Mount Lanaihale. 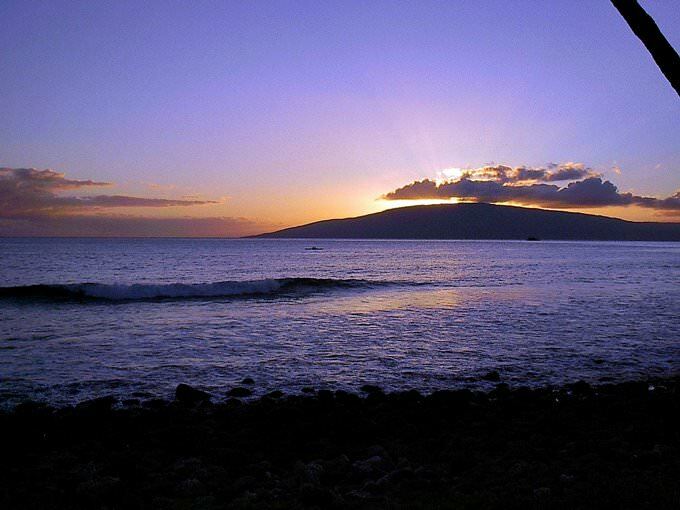 Despite the small size of the island, Lanai has as many as 18 gorgeous sandy beaches. Only a third of the beaches are privately owned, while the remaining ones are open and absolutely everyone can enter them to enjoy warm water and soft white sand. Local beaches are very calm and clean, so travelers who seek clean environment and peaceful atmosphere won’t be disappointed. Even vacationers with children will find it very comfortable to relax there. Romantic couples, in their turn, usually choose wild beaches that are usually empty. As there are almost no waves near the coast, water is always clean and transparent there. It is a great destination for snorkeling and observing exotic fish. This guide to iconic landmarks and sights of Lanai is protected by the copyright law. You can re-publish this content with mandatory attribution: direct and active hyperlink to www.orangesmile.com. Check on the map: Distance from Lanai center - 11.1 km. All about Lanai, USA - sightseeings, attractions, touristic spots, architecture, history, culture and cuisine. Prepare your trip together with OrangeSmile.com - find out the 'must see' things in Lanai, which places to visit, which excursions to take, where the breathtaking views are waiting for you. Planning your trip with this travel guide will help your to get the most out of Lanai in few days.